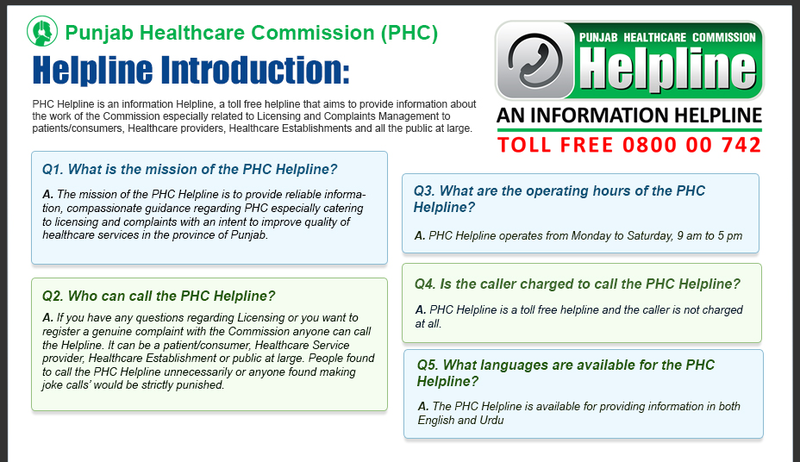 The Punjab Healthcare Commission (PHC) is an autonomous health regulatory body established under the PHC Act 2010. 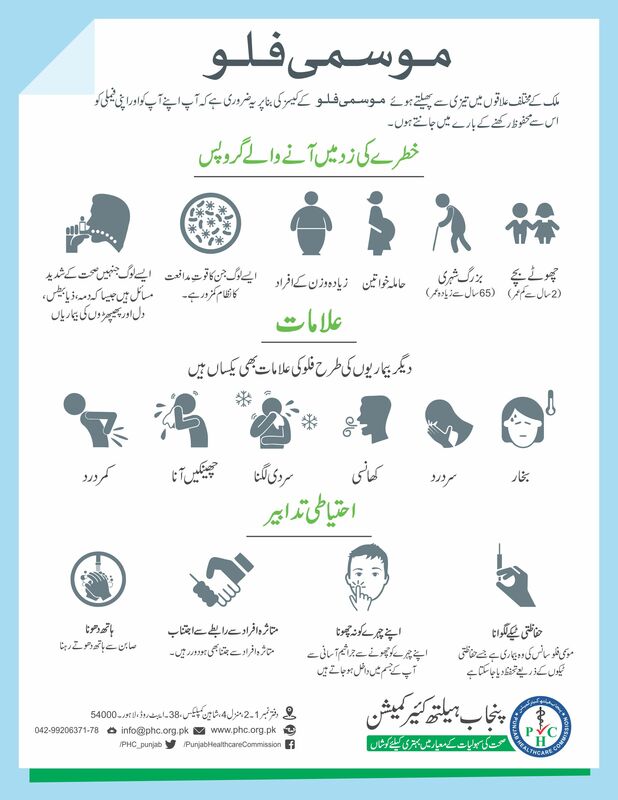 The PHC aims to improve the quality, safety and efficiency of healthcare service delivery for all Public and Private Healthcare Establishments (HCEs) including Allopaths, Homeopaths and Tibbs in the province of Punjab. 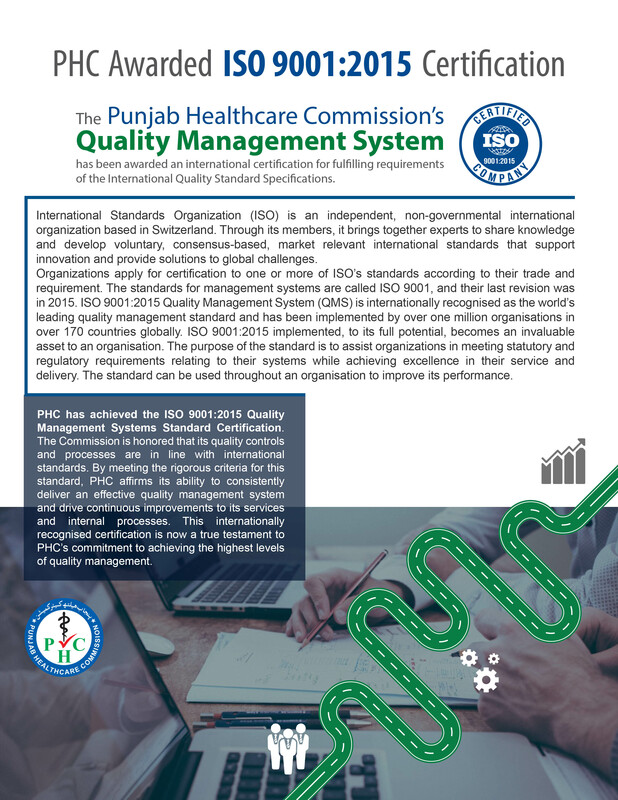 The PHC is responsible for developing and enforcing Minimum Service Delivery Standards (MSDS) at all levels of healthcare, to improve the quality of healthcare services and foster a culture of Clinical Governance. All Healthcare Establishments are required to implement MSDS to acquire a License to deliver healthcare services in Punjab. PHC closes down 50 quackery centresThe Punjab Healthcare Commission has sealed 50 businesses of quacks. he Punjab Healthcare Commission trained 44 general practitionersThe Punjab Healthcare Commission completed training of 44 general practitioners on the minimum service delivery standards (MSDS). 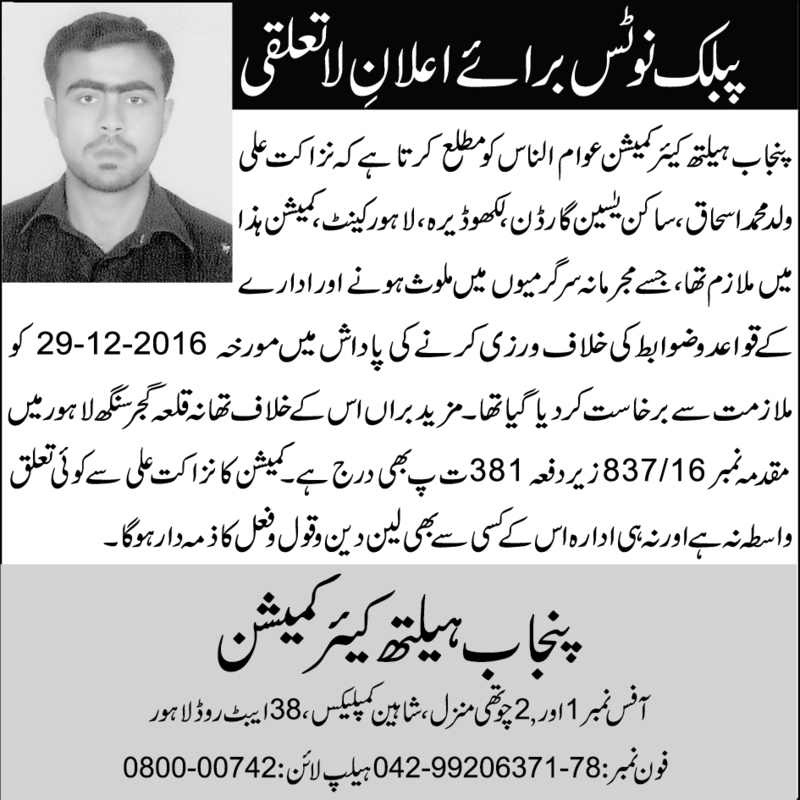 PHC seals 36 businesses of quacksThe Punjab Healthcare Commission took action against quacks and closed down 36 quackery outlets. Capacity-building workshop of 39 GPs, 09 Pathologists and 13 Lab TechniciansThe Punjab Healthcare Commission completed training of 39 general practitioners, 9 pathologists and 13 lab technicians on the minimum service delivery standards (MSDS). Capacity-building workshop of general practitionersThe Punjab Healthcare Commission completed training of 53 general practitioners. 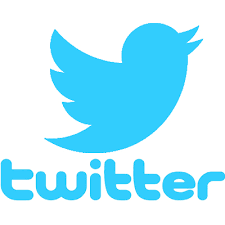 PHC closes down 18,500 quackery centresPHC seals over 18,500 quackery outlets, teams visit 41,600 treatment centres. Capacity-building workshop of category-I HCEsThe Punjab Healthcare Commission completed three-day training of 29 category-I hospitals. PHC seals 24 businesses of quacksThe Punjab Healthcare Commission has sealed 24 businesses of quacks. PHC closes down 35 quackery centresThe Punjab Healthcare Commission has closed down 35 quackery centres during the last three days. Punjab Healthcare Commission trains 35 GPs, 171 HCSPs on MSDSThe Punjab Healthcare Commission Friday completed training of 35 general practitioners on the minimum service delivery standards (MSDS). A delegation of the World Bank visited PHCA delegation of the World Bank visited Punjab Healthcare Commission on 13th February 2019. Meeting of the Board of the CommissionersThe Punjab Healthcare Commission has constituted sub-committees, which will start working immediately. A delegation of the National Council for Homeopathy (NCH) visited PHCA high-level delegation of the National Council for Homeopathy (NCH) visited office of the Punjab Healthcare Commission on 4th February 2019.